Note from the Editor: Julie received a scholarship from the Ontario-Rhone-Alpes Student Exchange Program. It’s around 5 o’clock and I am sitting on the steps along the quai du rhône, sipping a sample size bottle of côte du rhône red wine while observing the French after-five indulgence in full swing. Clusters of friends gathering for apéro, runners trace the border of the quai, the pastel palette of Lyon’s historic facade reflects off of the water, couples show heaps of PDA and baguettes and cheese are being eaten in the masses— this is the French culture thriving as I will remember. The first time I sat on those stairs, the french chatter was white noise, but now I’ve grown to understand and participate in the French lingo myself. I had always wanted to live in France someday so I knew when I started the journalism program at Ryerson that I was going to use the opportunity to go on exchange in France. I’ve done quite a bit of solo travelling for someone my age, so it wasn’t so much the newness of entering a foreign country that had me revelling, but the chance to be able to immerse myself like a local into the French joie de vivre. I segued my studies into journalism because it gave me a very legit excuse to experience and understand the lives of others and ask empathetically what makes them who they are. Perhaps it is my subconscious desire to better understand myself which is why I seek to understand others. Studying and applying myself to journalism at Ryerson has helped develop a lot of skills that I will need to move forward in the industry. But, it is for certain that combined with my decision to go on exchange that I have enriched these skills into a more forward thinking approach with real-life relevancy. You hear a lot of how the more important lessons happen outside the classroom— this I believe is true. Beyond learning how to be a journalist, I needed to learn how to be myself, whoever that was. Rewind to when I started my semester at Université Jean Moulin Lyon 3 and I was immediately thrown into a pack of international students, all with a keen sense of openness and an itch for adventure. Being an ambivert, I have the tendency to retreat into myself, not out of shyness, but out of the need to re-center myself after spending time in large crowds. It’s hard to get out of my shell, and at times I would spend a lot of time on my own. It’s one thing to be set in your ways in your home city and have your friends know your sometimes reclusive tendencies, but visiting new cities, especially on your own for short periods of time, can make you feel alone. Slowly, but surely the exchange began to mesh in a type of global classroom, where my fellow classmates became gateways into new cultures and perspectives. The unique atmosphere with mixed cultures helped open up a new frame of conversation, beyond the everyday mundane small talk. 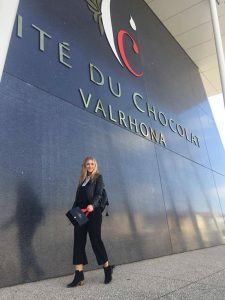 From spontaneous day trips to Geneva with weather that rivalled that of a Canadian winter to touring a chocolate factory in a remote town, there were always opportunities to connect with others— it was just about seizing the moment to get the most out of the experience. The irony of going on exchange to France was that I made friends from all over the world, some from right at home in Canada. But naturally, living in a new country shifted me out of my ordinary routine, however, not so much so that I didn’t fall back into the responsibility of getting a part-time job so I could comfortably afford the adventures to come. 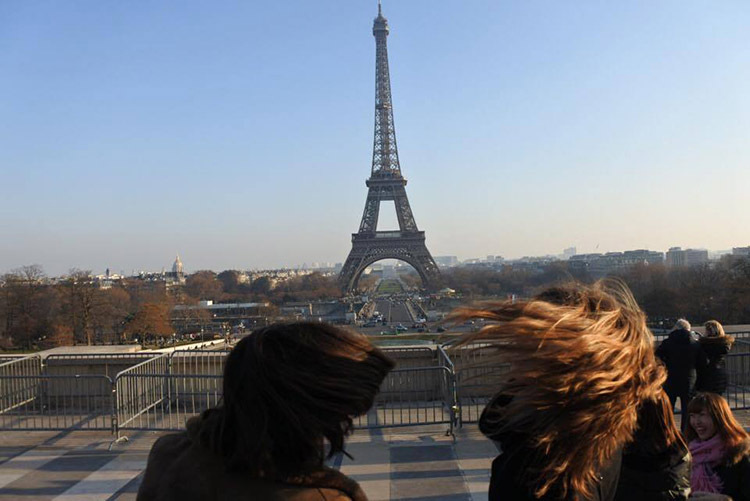 Though it may have isolated me a bit from the typical exchange student life, it allowed me to dip into the french student life— one that offered an equal amount of adventure. 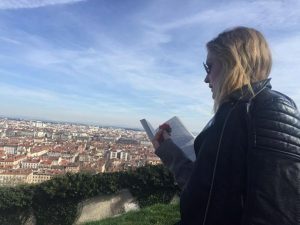 Getting into the swing of things as a student in Lyon entailed a certain type of non-stop energy. The city has the perfect blend of areas boasting both old and new, scattered with universities, terrasse cafés and sunlit squares for mid-day reading. I easily succumb to the habitual stop at patisseries which frequented every corner. Lyon is the capital of gastronomy in France meaning that indulging in amazing food is not reserved for special occasions, it’s to be enjoyed everyday. Who can argue that! 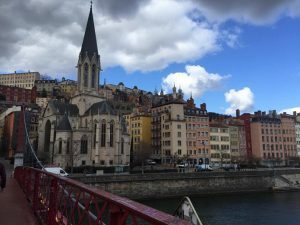 Living abroad in Lyon allowed me to gain a new sense of appreciation for the little things, like the after-five rendez-vous for a drink to recount the day among friends and the act of taking five minutes out of your morning to sip an espresso at a local café rather than rushing from A to B with an extra large coffee gripped in your hands. These subtle nuances are what make my time in Lyon so special. While Ryerson helped me gain the skills to be a journalist, it was exchange that really helped me see how I can be a global citizen by exploring my interests through a new lense. The distinct contrasts between myself and my new environment revealed aspects of my character that I never before uncovered. And these traits… they came in many forms that I may never have even realized if I hadn’t faced them while abroad. My time in Lyon is coming to a close and I have no other way to express it other than it feels like a dream. Soon enough I’ll be heading out on more summer adventures, and then returning home to Canada. All in all, it’s always when returning home after a long time away that you really grasp how you’ve been impacted and I can’t wait until then. For more information about University-Wide Exchange Opportunities in particular, please click here. For tips and tricks on financial planning for exchange, click here. I have been living in Lyon for the last 3 years, before I moved here in Toronto last September, to do my master in Environmental Applied Science and Management. Even though, I enjoy Toronto, Lyon is in my heart and it stays one of the most beautiful city in the world. Couldn’t agree more— Lyon definitely made its mark on me too 🙂 Happy you still enjoy Toronto though. There are a few spots in Toronto that remind me of France, though are just not the same. It would be so great to meet up when I’m back in September, I know I’ll be missing my french ways!
) I take care of such info much. I used to be looking for this particular infgo for a ver long time.